Often times people will ignore roof leaks because they just don’t see them as a big enough threat, or they’re planning on getting a new roof in a year or two anyway. But what many people do not understand is that even a minor leak can cause some very major damage to their home. 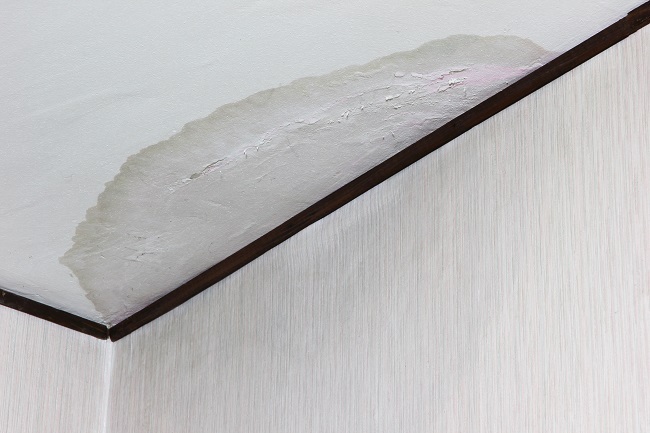 Leaky roofs are one roof repair that you definitely don’t want to ignore. If you have an attic, roof leaks are harder to find, and they may damage whatever belongings you have stored up there. If you don’t have an attic or the leak is really bad, it will start to damage the ceilings in your house as well. This can affect ceiling and wall paint, plaster, and even your ceiling lights and fans. Whenever there are leaks and moisture, you’re going to have mold and mildew. Mold and mildew thrive in these conditions, and it doesn’t take long for it to happen. It can spread through the structure of your home, your HVAC system, and even through the vents and to your personal belongings. Mold is hard to get rid of and can cause multiple health issues. Leaky roofs can pose as potential fire hazards if electrical wiring is present where there is a leak. They can also pose potential safety hazards by causing slips and falls from wet floors if your leak is bad enough. And ignored leaks can ruin insulation, which can then waste energy and raise your utility bills. Contact us today at Roofity for more information on roof leaks and all of your roof repair needs and concerns. Fall has arrived, and this is a time when strong gusts of cold air and sudden Texas downpours test the stability of your roof. Blown off shingles, water damaged under layers and stripped asphalt shingles are just a few common issues that compromise the integrity of your roof. While many people think of their roof as primarily protecting their home from water damage, you should also be aware that keeping your roof structurally sound also prevents those winter pests from setting up nests. As you prepare your home for the colder weather, here’s three ways a roofing service can help you successfully battle those pests. 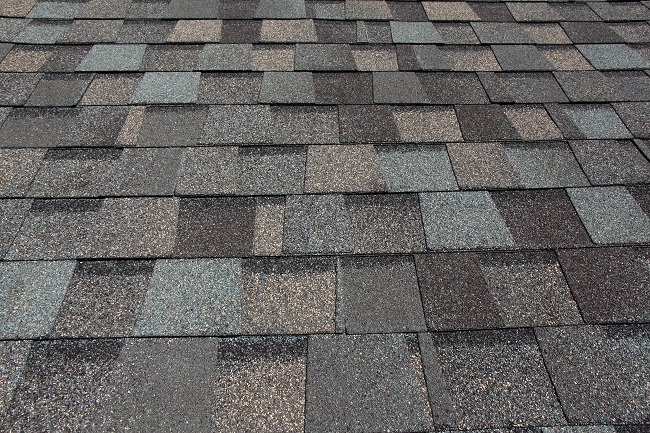 It only takes one missing or cracked shingle to allow water to seep down into the wood beneath your roof. Once this happens, the wood becomes soggy enough that pests can begin to chew through it to get into your home. Carpenter ants and termites love softened wood, and this is a common way for rodents to get into your attic. During a roof inspection, your roofing expert will look for signs of roof damage such as rotting wood and loose flashing around the chimney. It is during this inspection when many of the problems a professional roofer identifies can also be potential ways for pests to get into your house. For example, holes in your roof’s soffits make it easy for animals to climb inside to stay out of harsh weather. Having your roof inspected every season allows for prior damage to be promptly repaired before it leads to a major problem. Many seasonal pests return year after year so shoring up holes or cracks in your roof right away will prevent future invasions. This season, you can streamline your home maintenance by making sure your roof is ready for the winter weather. To schedule your roof inspection, contact us today. What Are Those Granules Coming Off Your Shingle Roof? The discovery of tiny asphalt granules in your gutters and downspouts can be unsettling, and it definitely causes for alarm. Those little granules may not seem like much, but they play a powerful role in protecting your shingle roof from damaging UV rays from the sun that can dry out your shingles and cause them to crack. 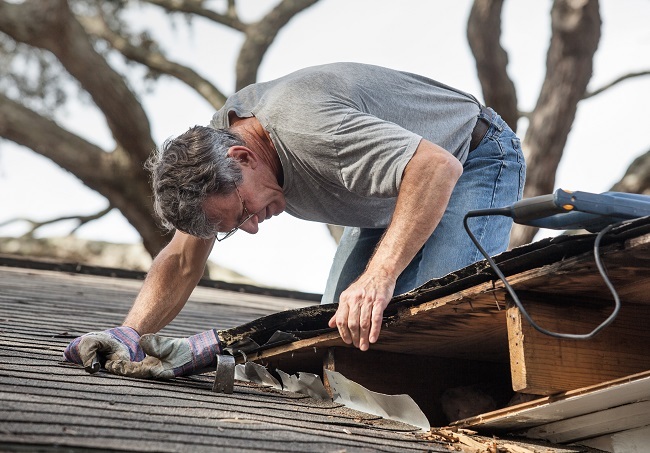 While replacing the damaged shingles is the only way to restore your roof’s integrity, there are some things you can do to keep your new roof from losing the granules again. Tall trees may provide shade that cools off your house, but those long branches can wave in the breeze and hit your roof. With each swipe of the branch in the wind, more granules will be removed. For this reason, you will want to make sure any overhanging branches are trimmed to at least three feet away from the house. Scampering squirrels and raccoons are more than just annoying. Their feet and claws can quickly tear up asphalt shingles and leave your roof vulnerable to leaks. To keep pests away, plan for seasonal inspections and pest prevention. Then, keep an eye out for nests or the sound of scratching so that you can handle a new infestation right away. Typically, granule erosion occurs slowly over time, which means that getting your roof checked can help you prevent more serious damage. If it has been more than a year since your roof was inspected or you have noticed an increase in granules falling off, then contact us today so that we can help preserve your home.